Google says that it can translate entire sentences at once, which is far more accurate than just tackling one word at a time. Google Translate is rolling out a major upgrade that promises more human-like language translations. Google is bullish on its Neural Machine Translation technology, claiming that it’s a bigger upgrade to the service than everything that’s been accomplished in the last ten years combined. 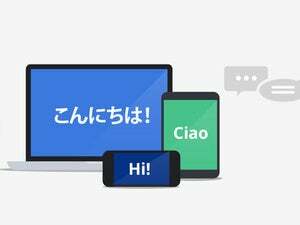 The company is rolling out the improvements to eight language pairs in Google search, the Translate apps, and the website. You’ll find the new technology behind translations between English and French, German, Spanish, Portuguese, Chinese, Japanese, Korean and Turkish. Google says that makes up more than 35 percent of all language queries. Google Translate Product Lead Barak Turovsky said the new system looks at entire sentences instead of just translating one word at a time. Often times words don’t have a direct translation from one language to another, so this new approach gives a result that’s more akin to how humans actually communicate. Since it’s easier to understand each sentence, translated paragraphs and articles are a lot smoother and easier to read. And this is all possible because of end-to-end learning system built on Neural Machine Translation, which basically means that the system learns over time to create better, more natural translations. Google’s cloud intelligence isn’t just for the company’s consumer services. It’s a major component of its enterprise effort by infusing machine learning into G Suite and other services. To check this out, you can head to Google Translate online or grab the latest app for Android and iOS. Why this matters: A better understanding of human language is a critical lane in the race to build smarter artificial intelligence. 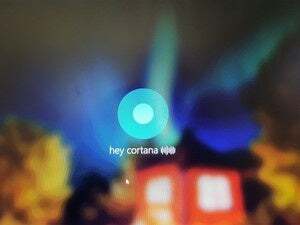 Microsoft has also invested heavily in this area, most notably with Cortana and its purchase of SwiftKey. This story, "Google Translate is tapping into neural networks for smarter language learning" was originally published by Greenbot.